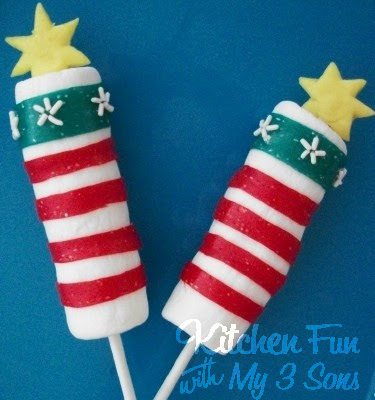 If you are looking for a super easy and fun treat for the kids on 4th of July…this is it! We made these Firecracker Pops using 3 marshmallows, 1 red fruit roll up, 1 blue fruit roll up, white sprinkles, and 1 yellow Starburst. We put our marshmallows on a lollipop stick. Poke the stick out on the top just a bit. We like Kroger brand fruit roll ups because they sparkle and you save money as a added bonus! We pulled out our red fruit roll up just enough to wrap around the marshmallow. Just eye ball it. Cut that in half and wrap around the edges first. It will stick together by pressing it. Do that with another strip of red for the 2 other stripes in the middle. Leave a space on the top open for the blue fruit roll up. Pull out the blue roll up and cut off enough to wrap around. You don’t need to cut that one. Take a yellow Starburst and microwave it for about 8 seconds. Press it into a circle and snip off the edges to make a star. Press it into the top of the stick. We used white sprinkles for stars on the blue fruit roll up, but stores have a million different star sprinkles out there to use for that. If you use sprinkles…just press them onto the roll up and it will stick. 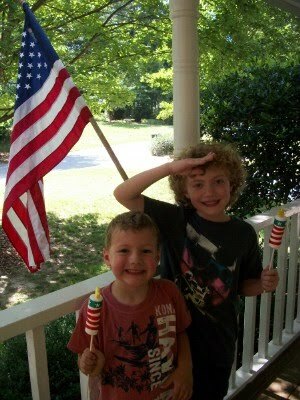 Here are my 2 little soldiers and their patriotic pops! AWESOME IDEA! Love it! 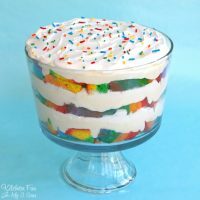 Please link this idea up at my 4th July Linky! Cute and yummy- I love it! Thanks a bunch, I'll be linking. 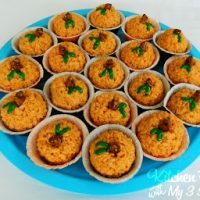 We love this idea and are going to make them to bring for all the cousins on our family get together!!! Happy 4th! That's great…so glad you like them! Thanks Rachel! Yum! I know my boys will love these! You blow me away every day! I love this and will definitely be making them! Any chance you ever want to guest blog for me! I seriously love everything you do! 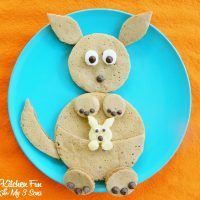 Cute and creative with a bonus of no cooking! super cuteness! I have been making marshmallow pops all week because I refuse to turn on my oven when it is 115 degrees! These are adorable! I love all your 4th of July ideas. Happy 4th to you and yours! These are great. LOVE them! Have a happy 4th! Wow, these are so cute! I can't wait to make them. Oh my, what an adorable idea. My kids would have loved these when they were young. Happy 4th. A really wonderful idea! Have a great holiday weekend! Super festive for the 4th. I found you from Paisley Passions linky. 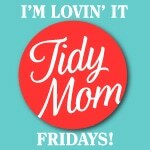 I hope you can swing by Momtrends and share this treat. How cute are THESE? So clever! Found your post through Gina. Have a great 4th with your boys! These is a wonderful tasty idea. I am going to try this with my kids this weekend. They will love it. I really like that they are easy enough for the kids to help make them. These are adorable, Jill. My 3 sons also love to cook and so we've had such fun trying out your recipes. I'm featuring them and your fruit flag dessert today at my blog. Feel free to pop over and pick up a "I've Been Featured" button. Thanks so much for sharing! Thanks for sharing. You got a lovely space here. That is so cool! I can't believe you made these with marshmallows! So cute! As always, thank you for linking up your great ideas at FFKF. Those are super neat! I've never seen anything like these before. Thanks for linking them up to Sweets for a Saturday. Brilliant! I love this idea. Thanks so much for hosting the party this week. Love these!! I hope you linked them up at my party!! If not please do!! I'll be featuring these too for the 4th!